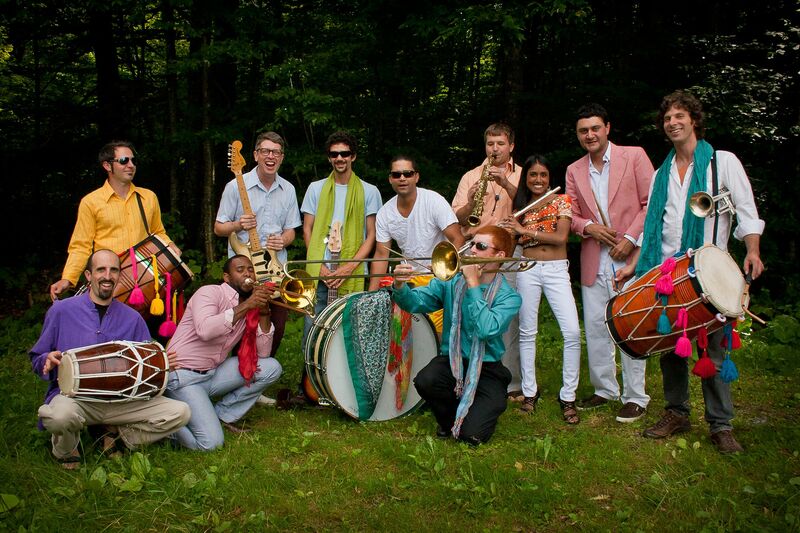 The Big Bang Bhangra Brass Band is making a Burlington debut at Radio Bean this Saturday Feb 22 (10pm). What started as a new side project, has become a more regular thing . . . . well a kind-of-regular-thing. I’ve started writing some original material for the group which has opened up some new sonic-doors. 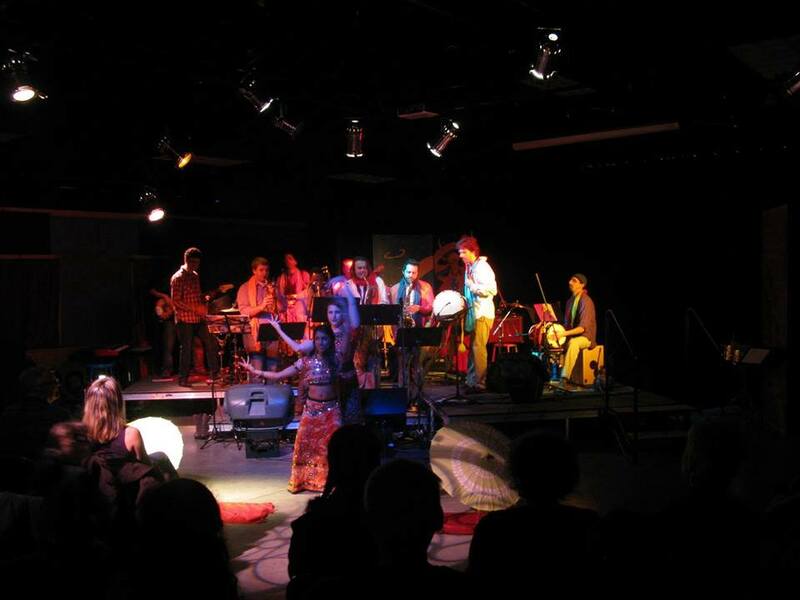 When I first formed the group I was transcribing and arranging an entire set of Bollywood and Bhangra music for an ensemble that had yet to rehearse! Luckily, it all worked out nicely, however as the group continued to rehearse and perform I began to recognize the pros and cons of the material. By writing original material for the band, I can throw some emphasis on a variety of new instrumental combinations and timbres. So come on out to Radio Bean this Saturday Feb 22 at 10pm to hear the latest. Also psyched to add a few more tunes to the set list! 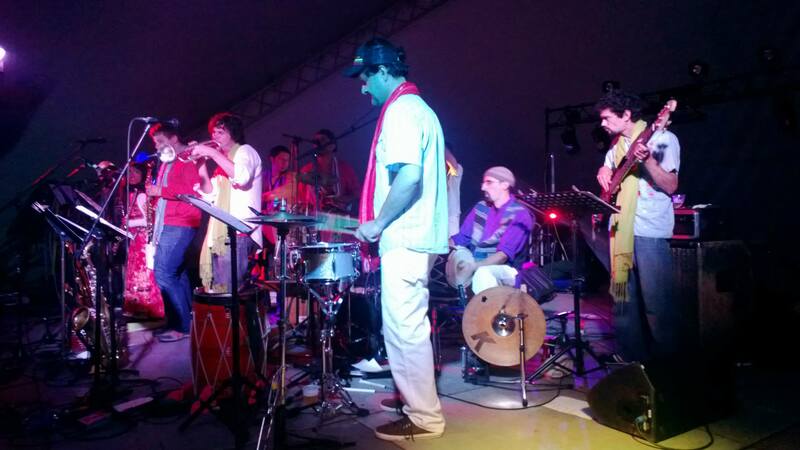 “But the most intriguing act on the bill is a new ensemble from the Saturn People’s Sound Collective leader Brian Boyes: the Big Bang Bhangra Brass Band. Given his increasing renown thanks to the mind-blowing radness that is SPSC — andMovement of the People before that — Boyes is approaching a Chorney-ian level of respect. Meaning that, much like his old viperHouse bandmate and friend MichaelChorney, anything Boyes does from here on out will likely inspire genuine curiosity among a growing segment of the local music-listening public. That definitely includes yours truly. When I hear Chorney is involved in some new project, my ears immediately perk up. The same thing is starting to happen with Boyes. The band itself is like a who’s who of central Vermont instrumental talent and features percussionists Gabe Halberg, Brandon Klarich and PJ Davidian, bassist Giovani Rovetto, guitarist Jay Ekis, flautist and choreographer SimoneLabony Labbance, and a horn section of sax players Dan Liptak and ZachTonnissen, trombonists Lloyd Dugger and Matt Avery, and Boyes on trumpet. So, yeah. I’d say the BBBBB — B5? — are worth the price of admission on their own. Or they would be if the fest had an admission price. Which it doesn’t. Back in March I received a call while in San Diego for work. The caller was interested in having viperHouse play his festival in August. I told him that we were already booked for a 12-year reunion show in Sept, so he asked about Movement of the People: The Fela Kuti Project. Alas, many of the band members were already booked to play weddings that weekend, so that fell through too. And I am glad we did; it was just the kind of impetus (and support) that I needed to launch this new project. Nevermind the fact that I already had a 20 piece that needed a lot of attention as we prepared for our second show as a headlining act at the Discover Jazz Fest . . . or a bizillion other responsibilities. And thus was born The Big Bang Bhangra Brass Band – an 11 piece combining the rich musical and dance roots of Indian Bhangra, Bollywood, New Orleans Brass Bands, and the 1930′s jungle swing of Duke Ellington and Cab Calloway . . and some hip hop and a small dance troupe too! Why not, right? I am really grateful to The Vermont Music Fest for having the faith in me to have a brand new act that they wouldn’t hear until the festival actually headline their amazingly delightful festival. We had an incredible time playing the show, and it was the perfect way to launch a new project – huge stage, great sound system and light array. I suspect more video will show up in the upcoming weeks – but for now here’s a clip shot about 100 yards from the stage. Check us out at Positive Pie in Montpelier on Friday Nov 22. 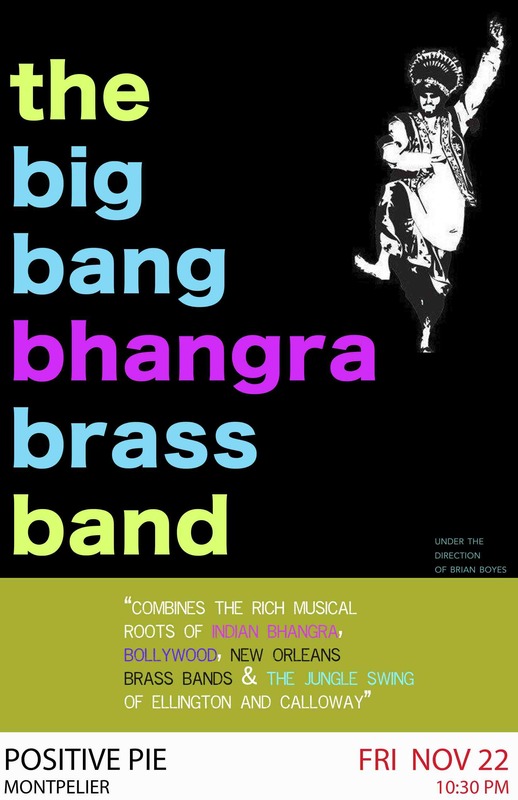 I am very pleased to announce the debut of my new project, The Big Bang Bhangra Brass Band! We will be headlining at this year’s Vermont Music Fest at Lareau Farm in Waitsfield. We go on at 8:30 PM. 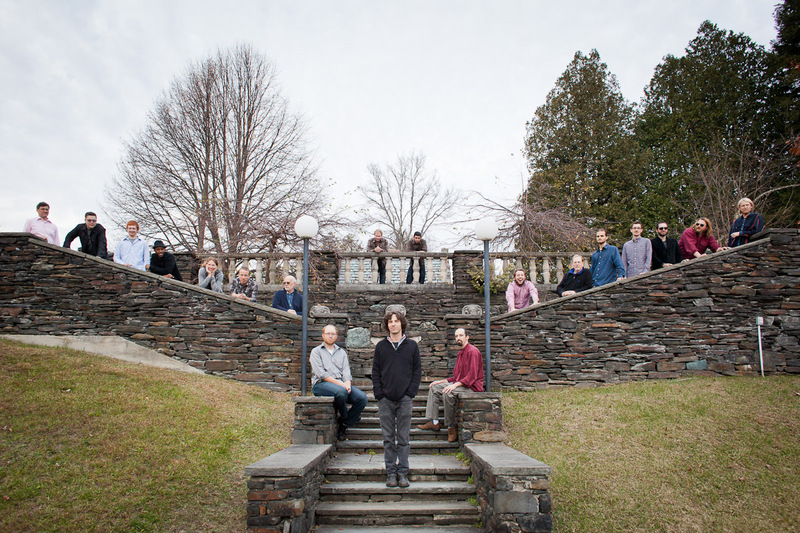 The festival is a wonderful collection of Vermont musicians, bands and vendors. And . . . it’s free! Although donations are certainly welcome. Here’s some info on the group. Playing on the VMF main stage at 8:30pm, this is one party not to be missed. 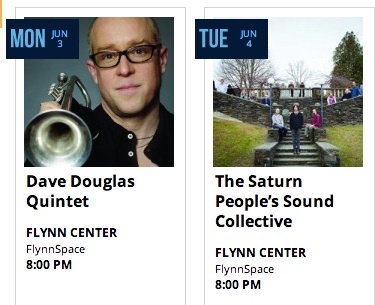 Big Band, Big Ideas . . . .
We’re only a few days away from our Discover Jazz Festival show at The Flynn Space. We’ll be debuting two or three new vocal feature pieces; one of which is a stellar original by our bass player Robinson Morse and another by yours truly called Quarks. I am particularly excited about Quarks because it has helped me to stretch a bit as a composer. It definitely builds off some of my experimentation with the minimalist big band thing, but also reaches deeply into the rock realm while at the same time giving off some other kind of creative music vibe. Not sure what that final descriptor is yet. We’ve been very fortunate to get some great coverage on the band including this mini-mini-doc on the group by The Burlington Free Press. I’m not sure what the deal is with that guy they’re interviewing, but maybe you’ll find it amusing. Hope to see you there on June 4. Second Stop Is Jupiter . . . by way of Burlington. The Burlington Discover Jazz Festival just released their calendar of Main Events for the festival. 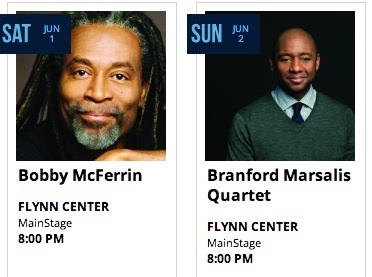 Bobby McFerrin, Branford Marsalis, Dave Douglas, The Saturn People’s Sound Collective . . .
It’s beyond an honor to share that bill.